Visit our Tires Page to find the right tires for you. Visiting Cardinal Plaza Shell for the first time? Save 20% on your visit! New customers can receive 20% off of your first visit (up to $50 off) to Cardinal Plaza Shell. Simply fill out a quick survey and start saving! Give us try, we’re sure you’ll like us! Stop by today and ask our friendly experts for a free second opinion. let our technicians check out your ride before a trip or returning to college. 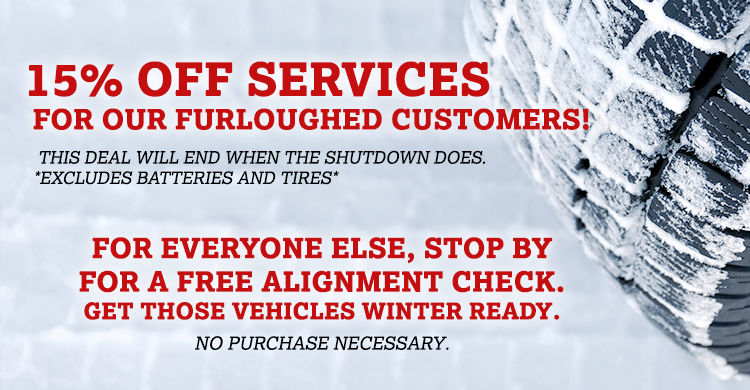 Get your vehicles winter ready. No purchase neccesary! Present this card and receive a free tire rotation with oil change at your next visit with Cardinal Plaza Shell.